Cookie Making Simplified. Easy to throw together, and a delicious cookie for those who like their cookies soft and gooey. 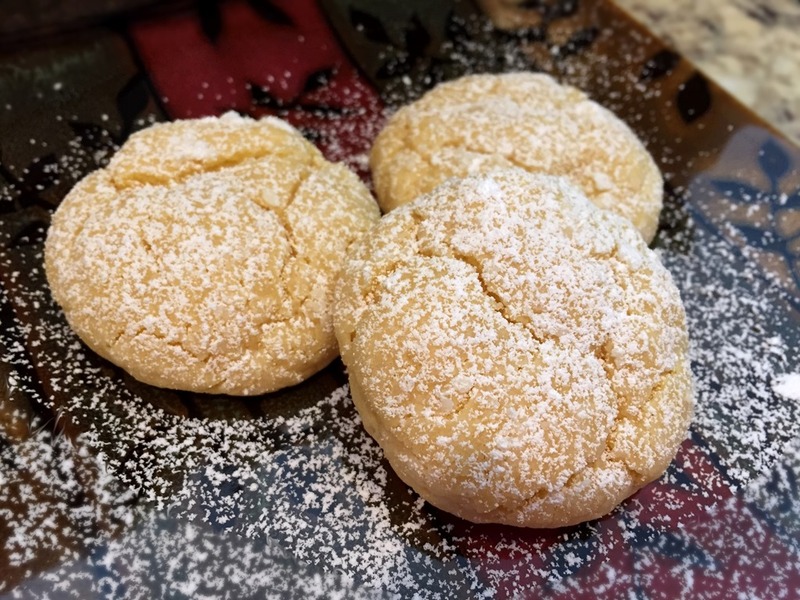 These cookies are also delicious made with a lemon cake mix, but then you might not want to call them Snowball Cookies. 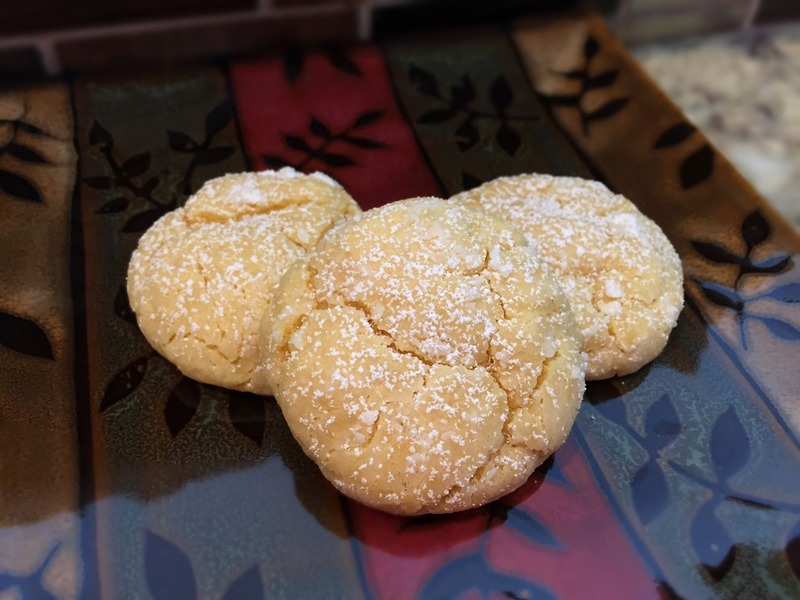 You might not get many takers when you offer “Yellow Snow”ball Cookies. In a large mixing bowl, combine butter, cream cheese and vanilla. Use an electric mixer to beat until light and fluffy. Beat in egg and then cake mix. Chill dough in the refrigerator for at least 1 hour. Place powdered sugar in a small bowl. Roll dough into balls (about 1” in diameter) and then roll in powdered sugar. Place on baking sheets. Bake for 10-12 minutes. Cool on baking sheets for 2 minutes, and then remove to a wire rack to cool completely.